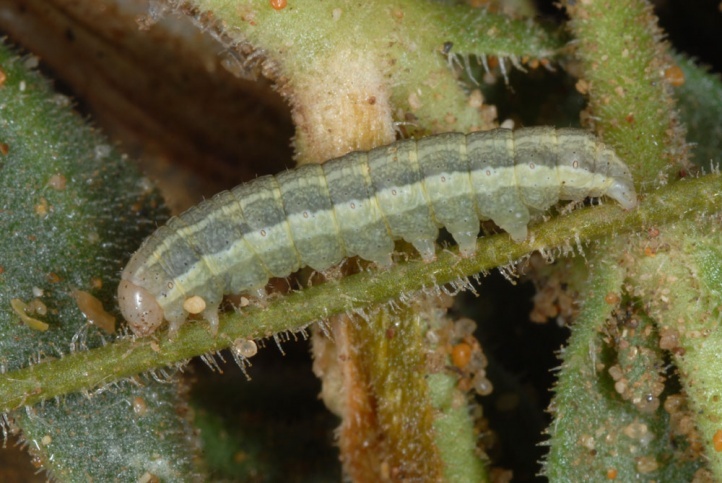 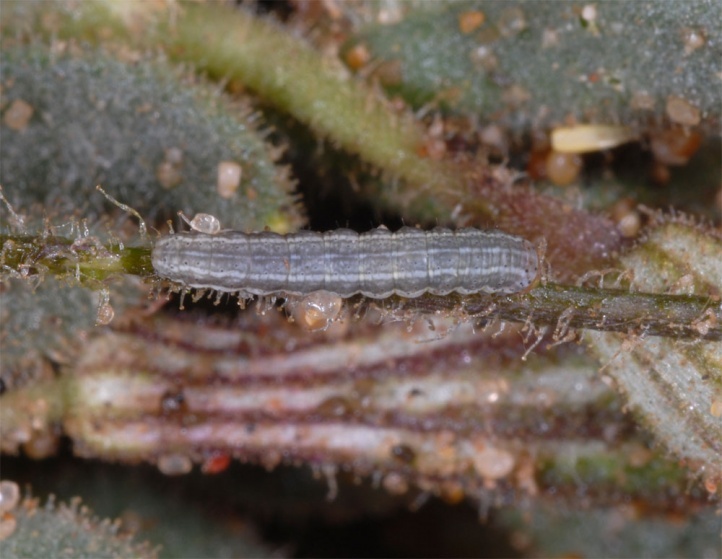 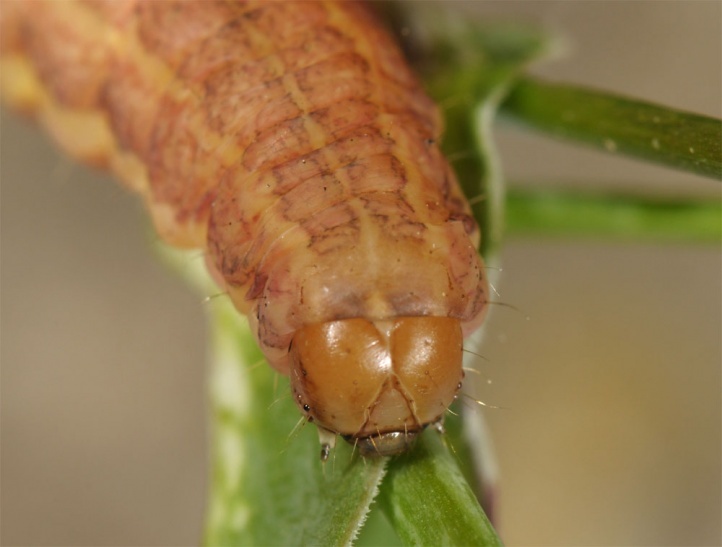 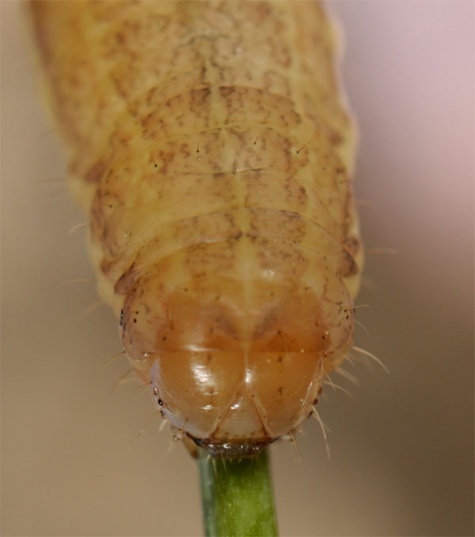 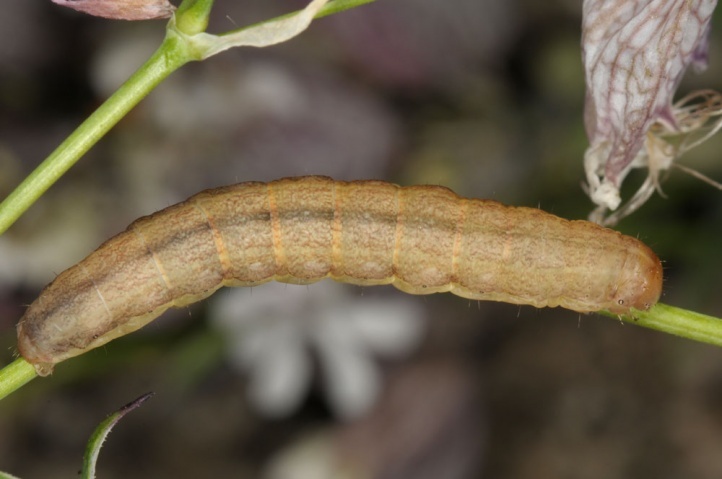 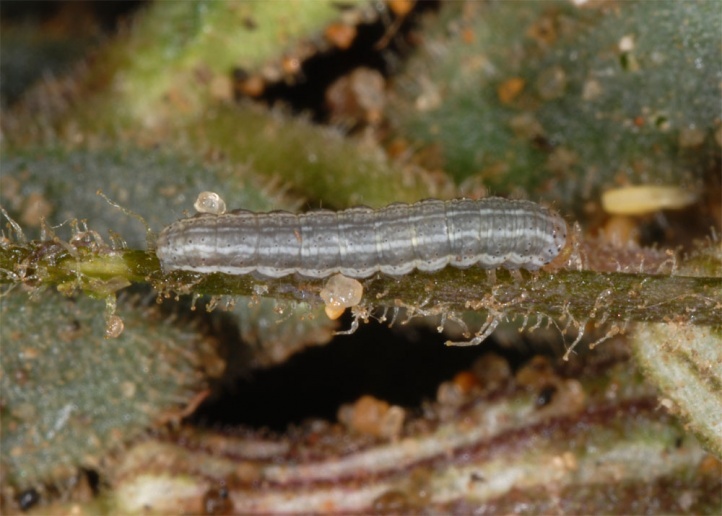 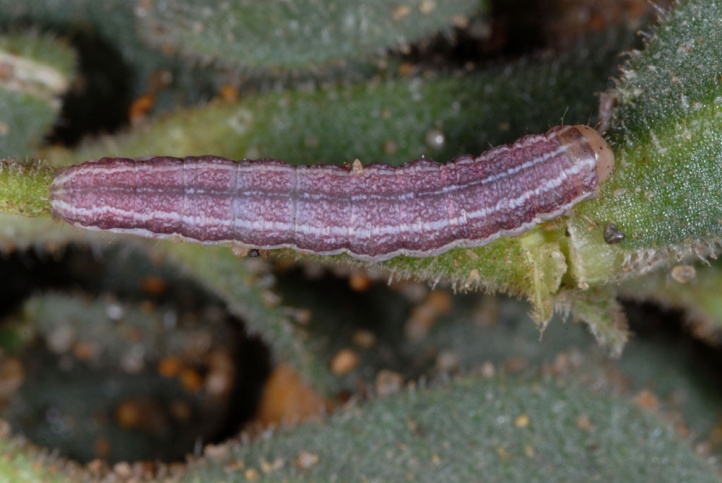 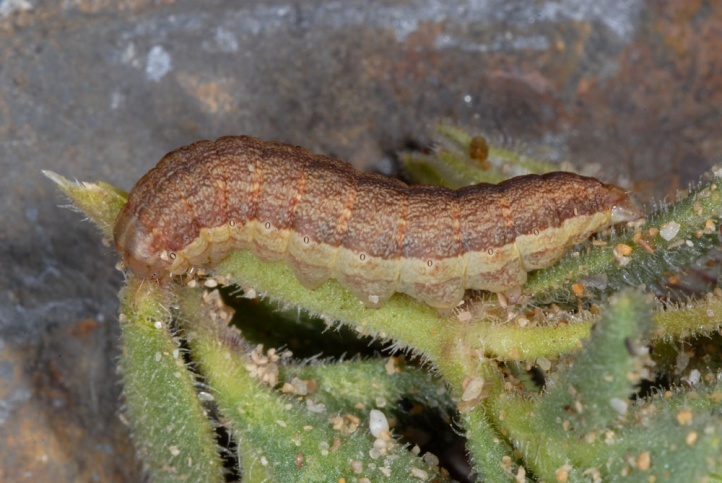 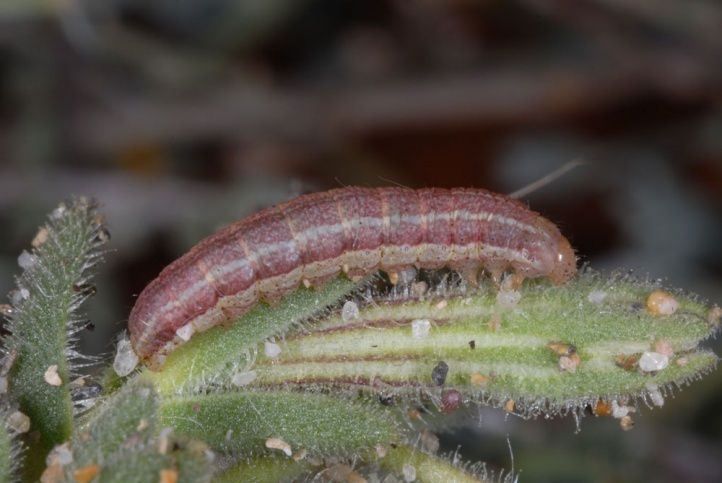 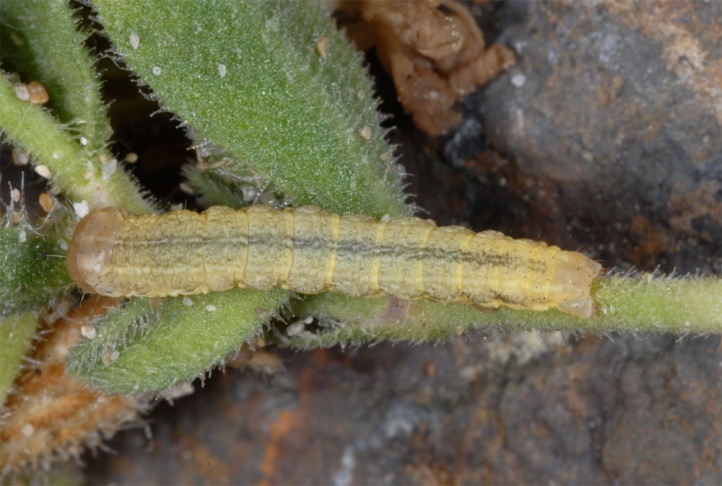 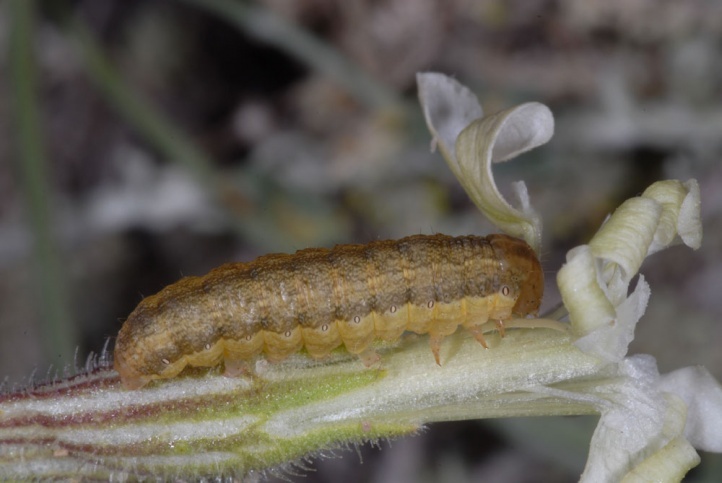 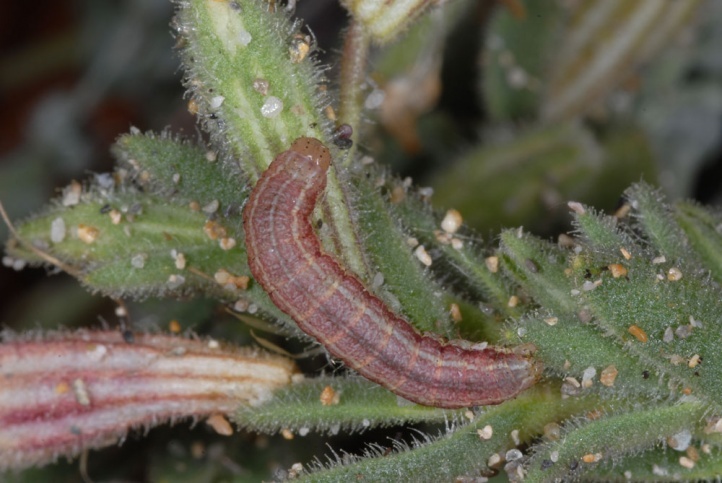 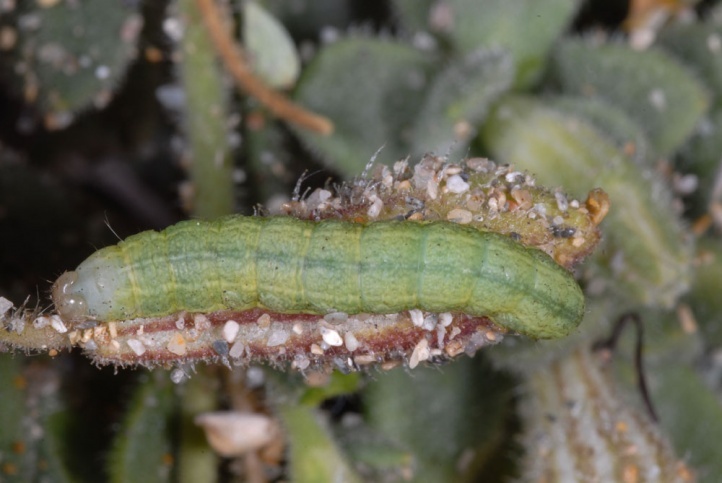 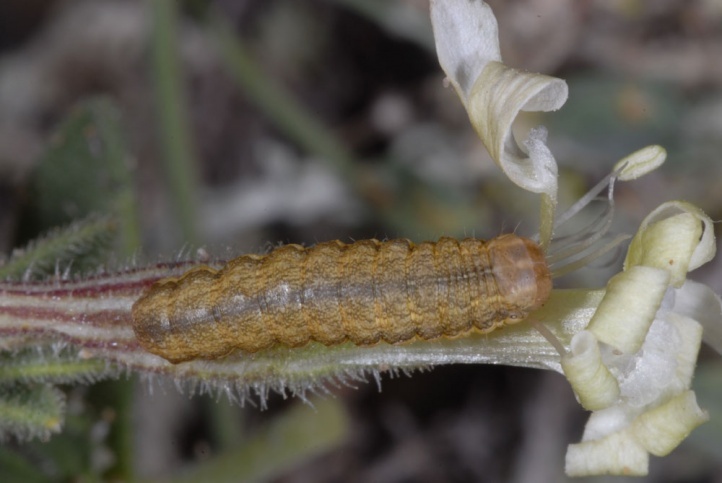 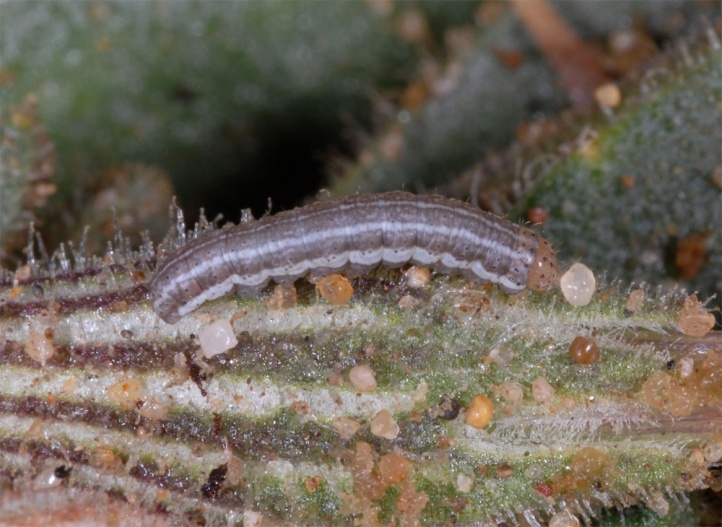 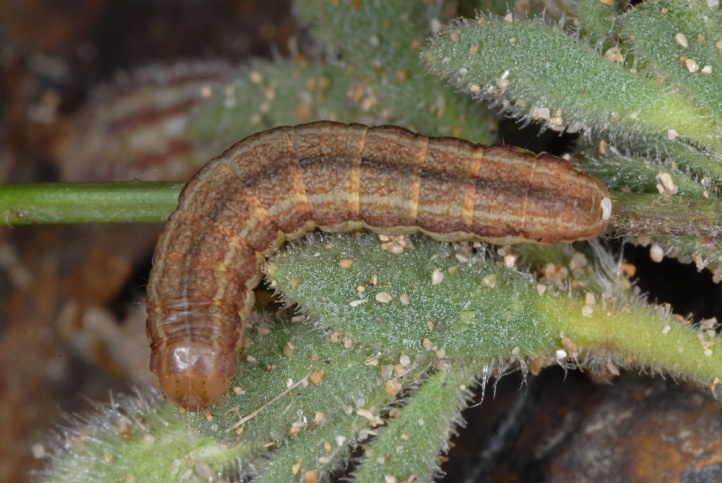 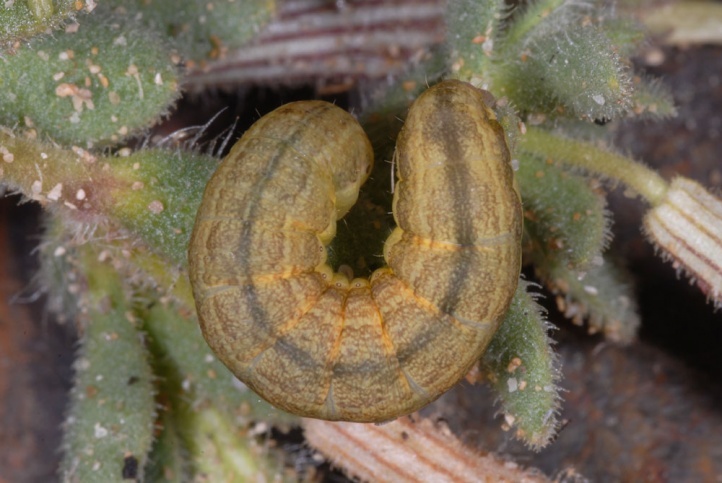 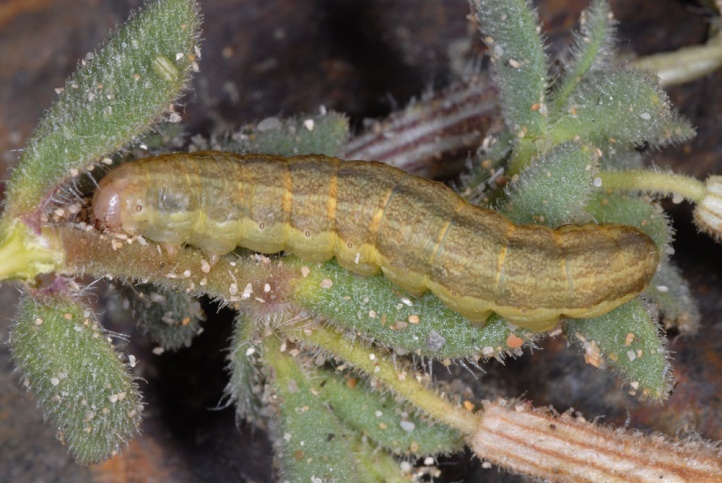 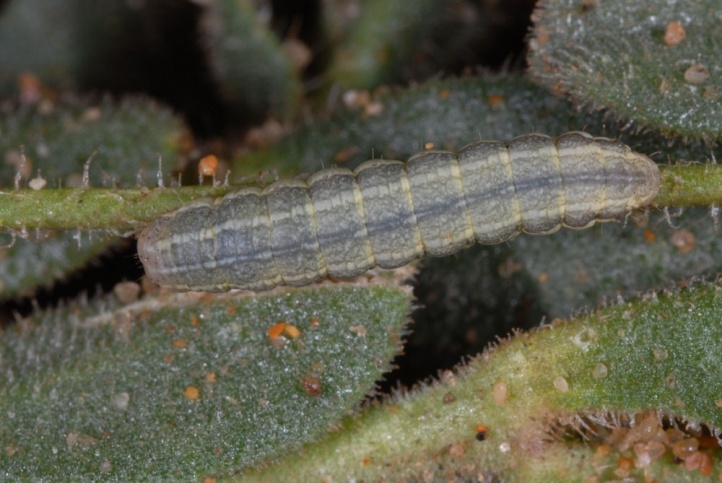 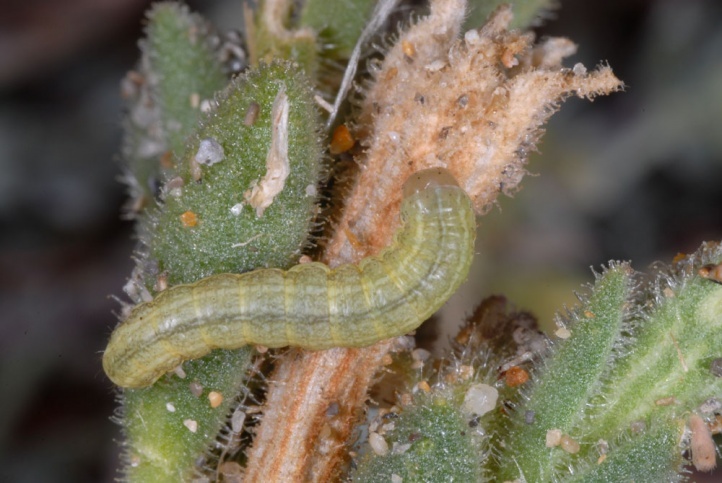 The larva feeds on flowers and fruits of Silene species. 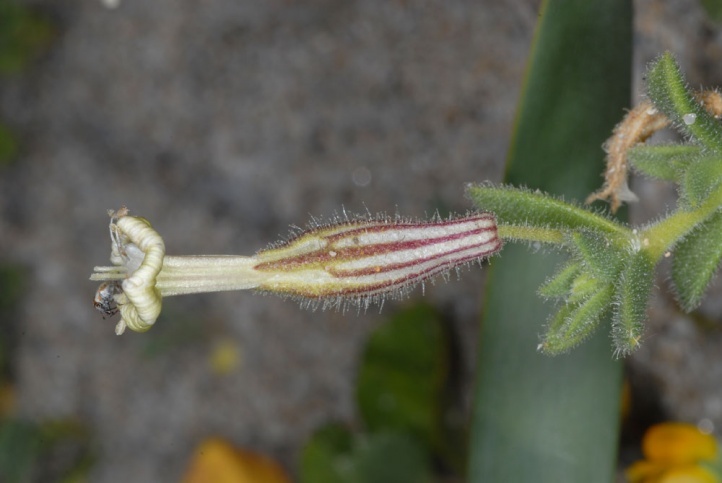 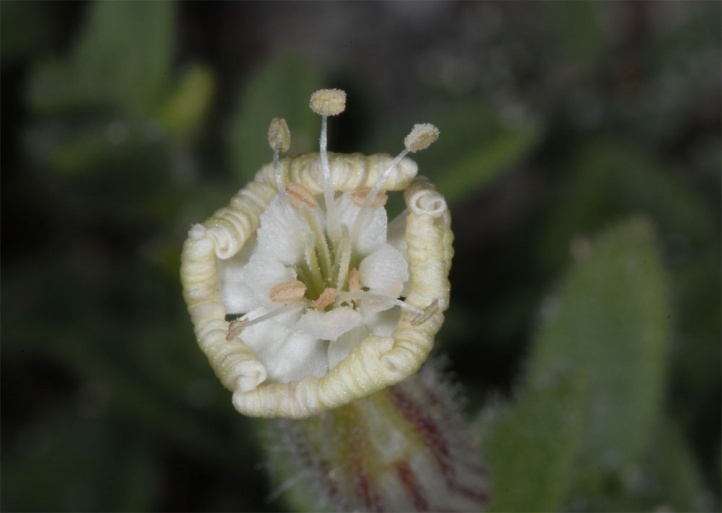 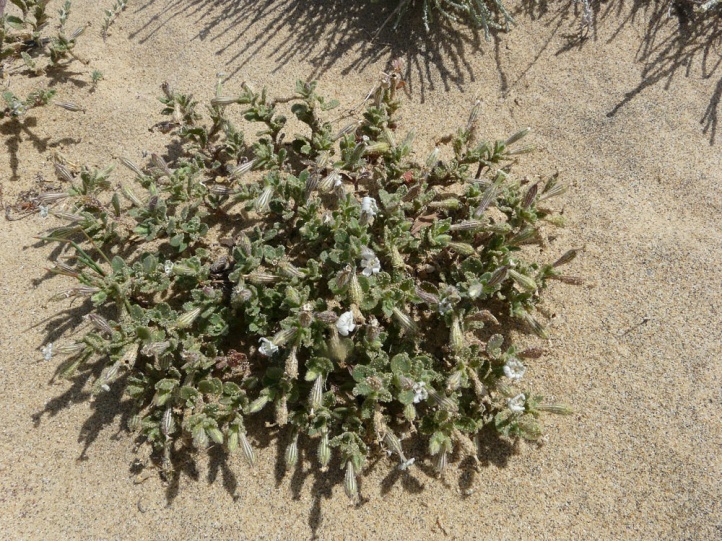 I found them in Sardinia (Sinis Peninsula and Costa Verde) only on Silene succulenta on coastal sand dunes. 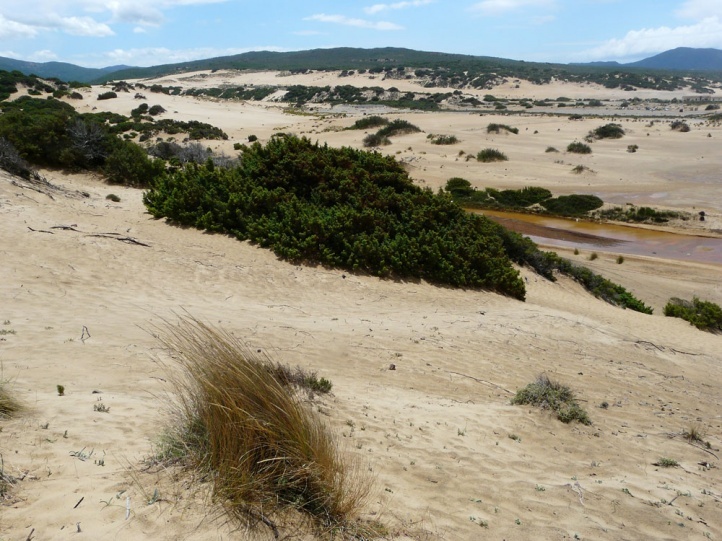 Hadena sancta principally lives on coastal sand dunes. 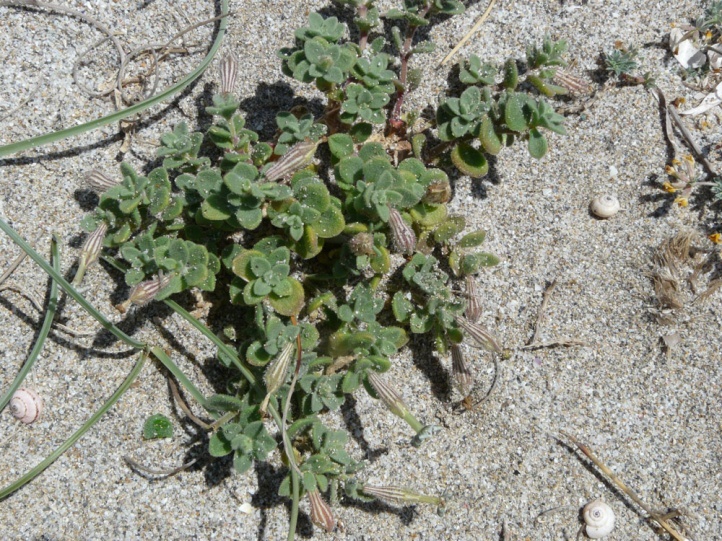 Occasionally it may settle on stony slopes and similar dry places, too. 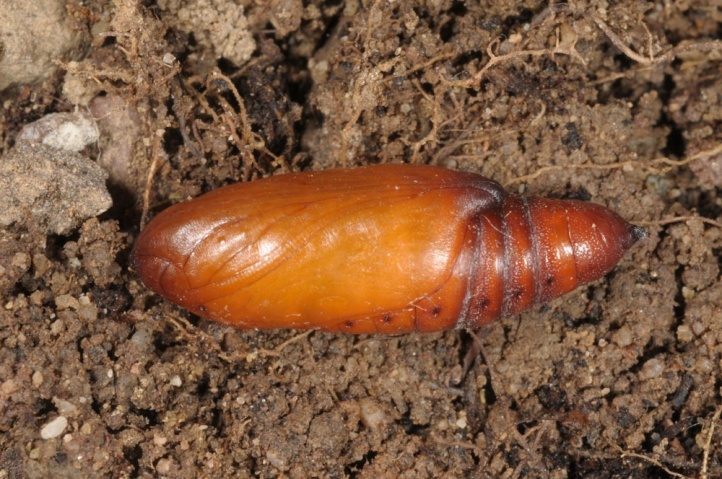 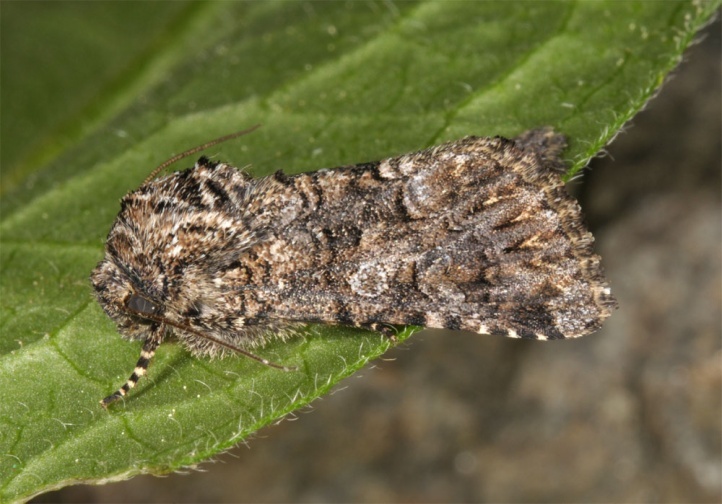 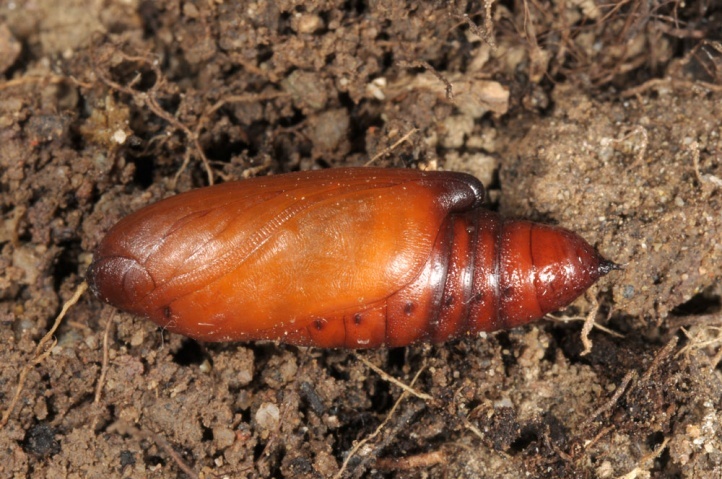 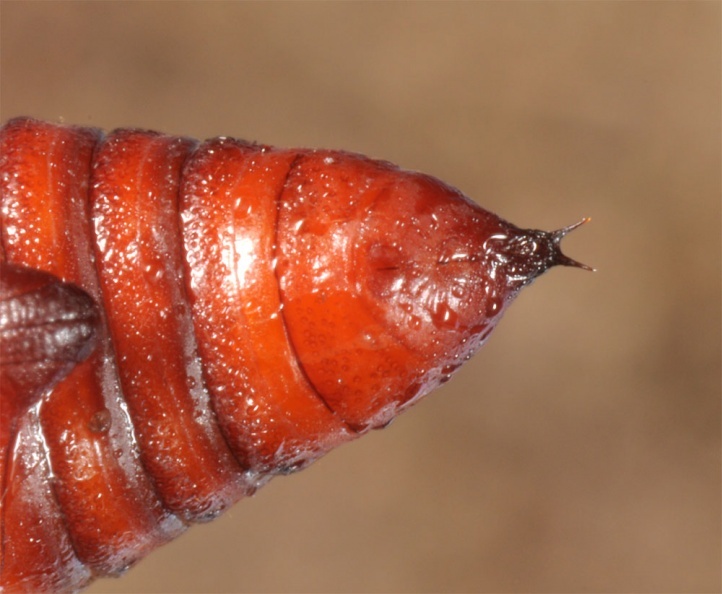 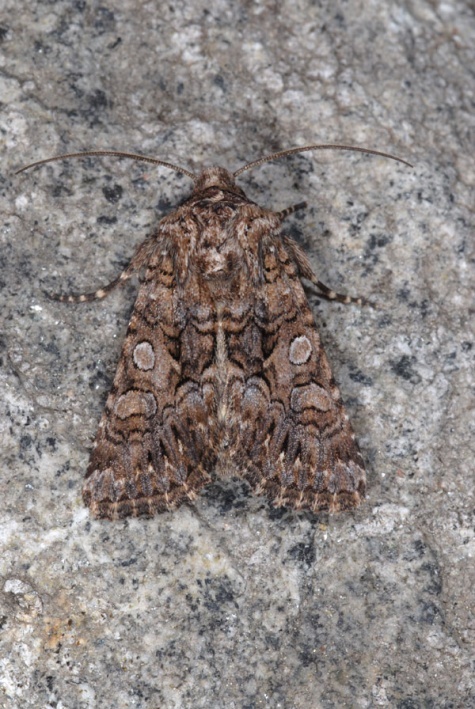 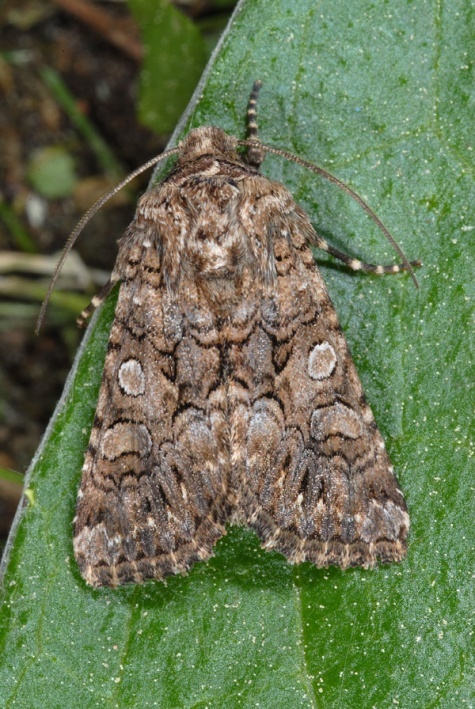 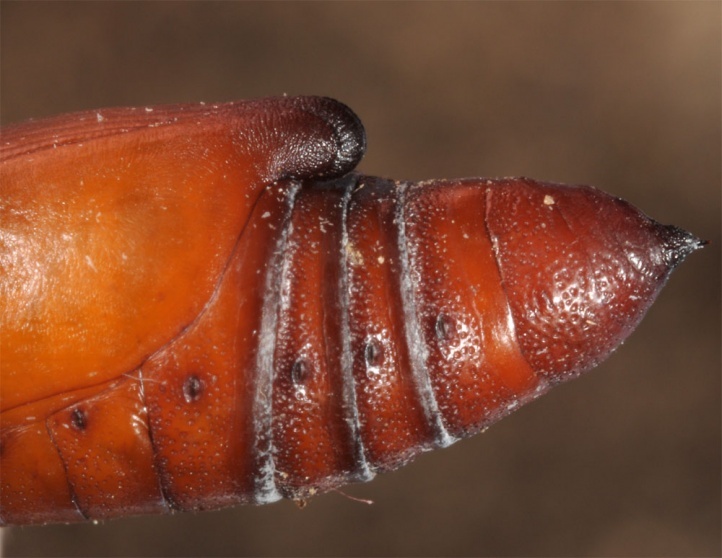 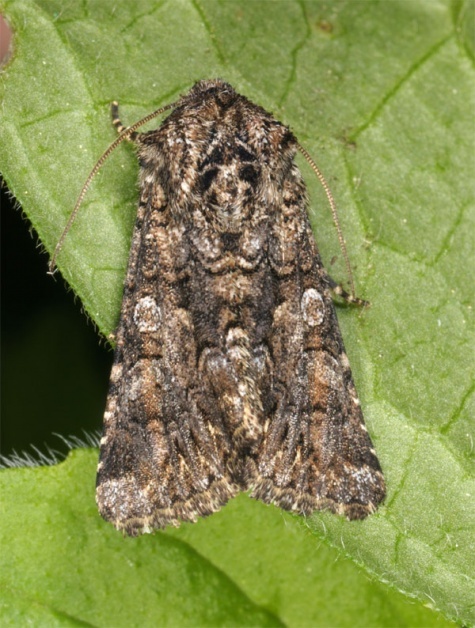 The pupa hibernates and the moths are on the wing in spring (late February to early June). 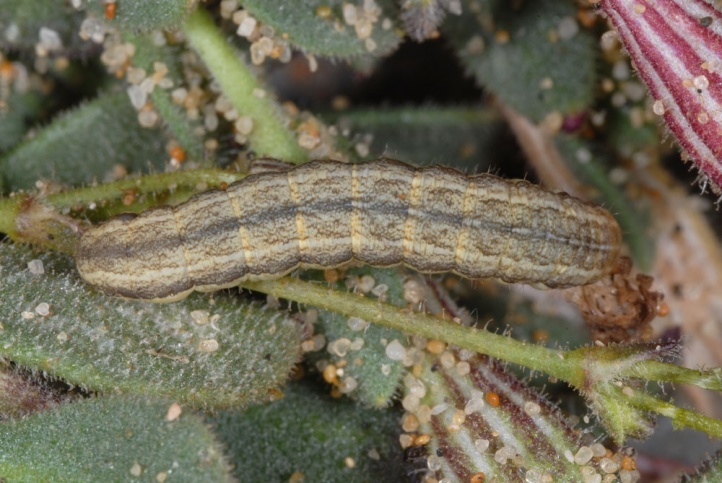 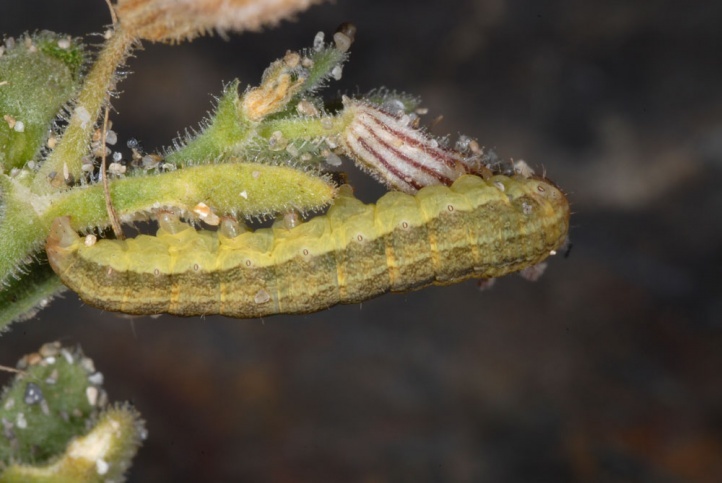 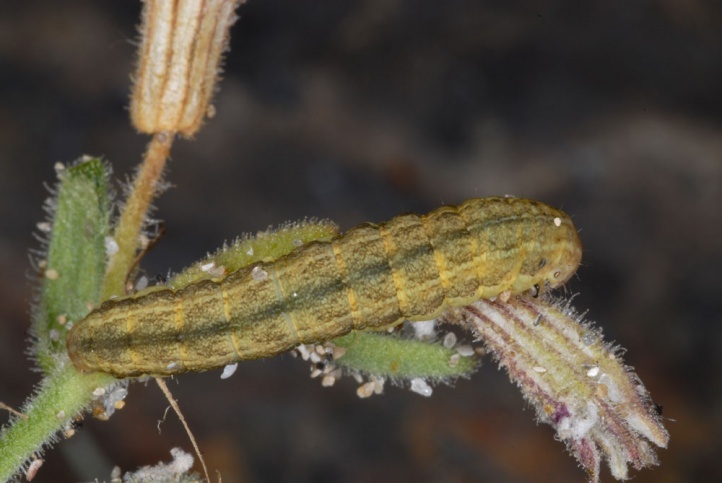 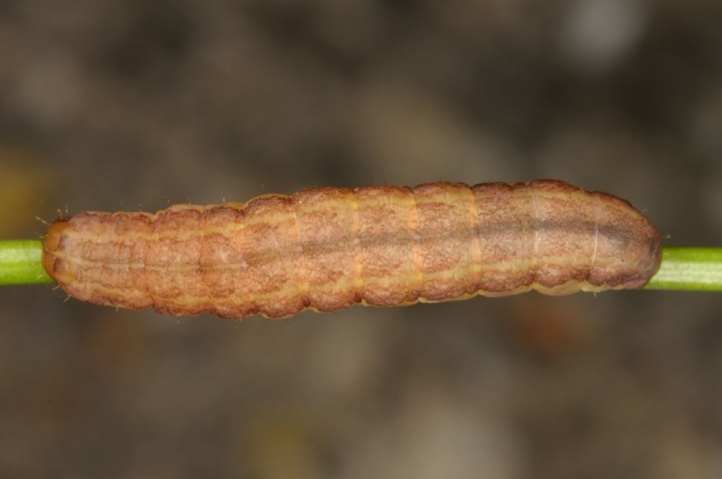 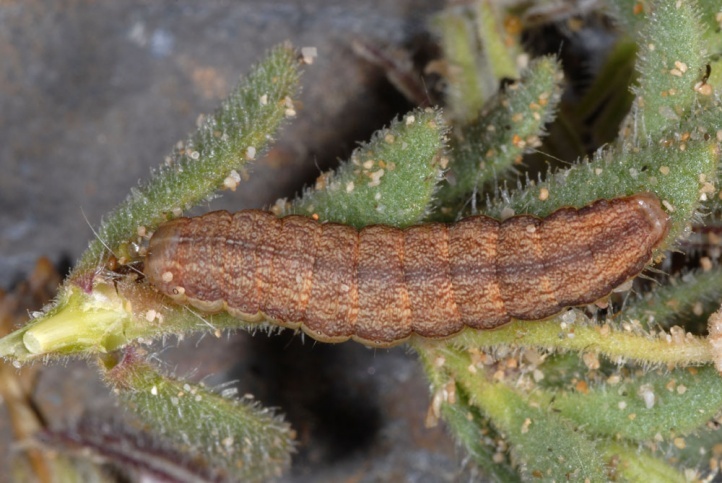 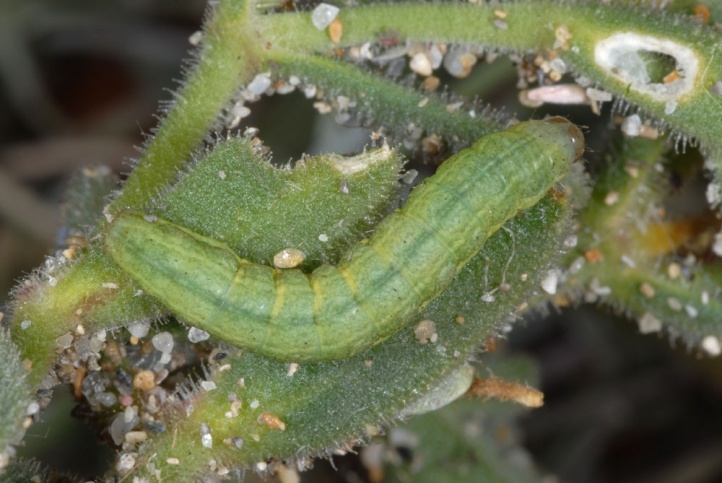 The caterpillars can be searched between April and June. 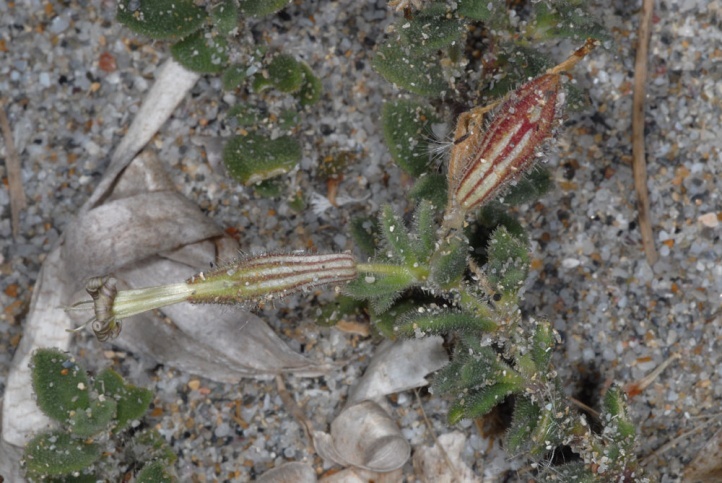 I found them by day in the sunshine sitting openly on the glutinous plants (Silene succulenta, Sardinia, May 2012). 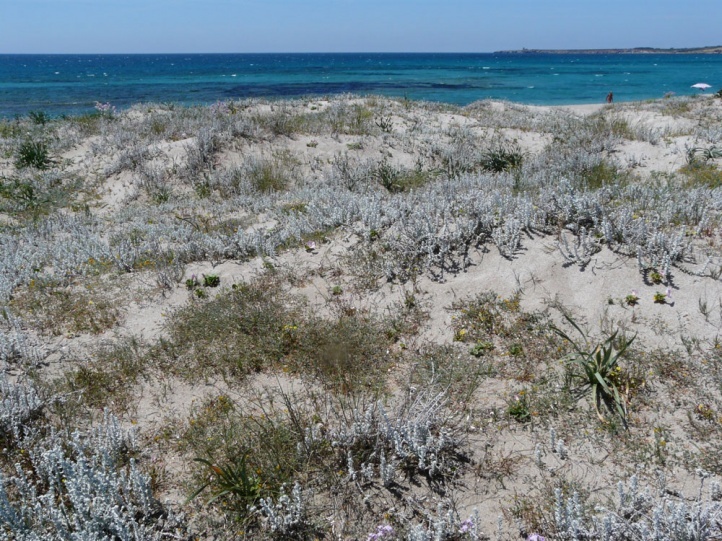 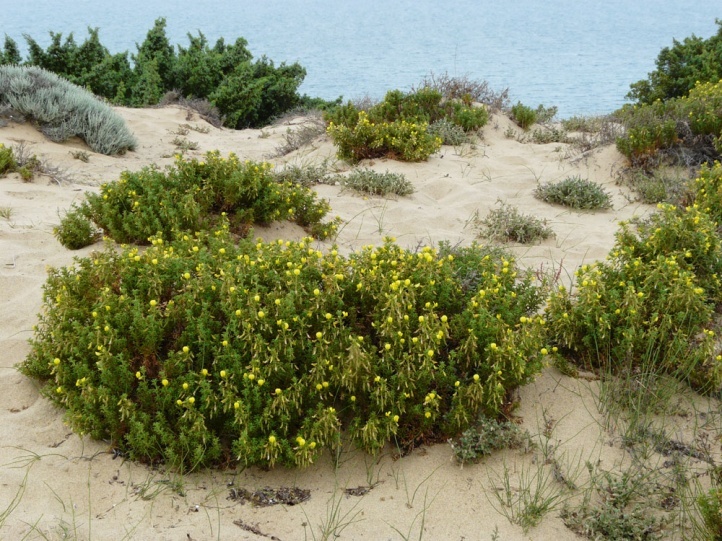 Hadena sancta is regionally endangered because of the destruction of coastal dunes due to tourism. 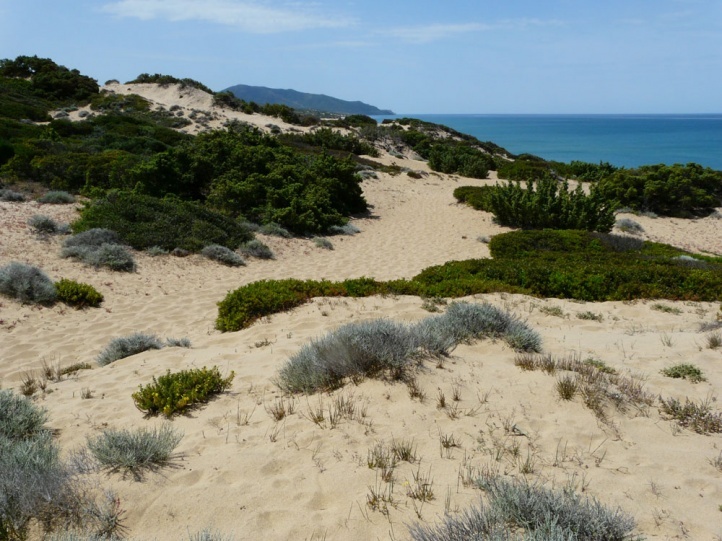 Hadena sancta occurs in north Africa, Southern Spain, Malta, Corsica and Sardinia and parts of Southwestern Asia. 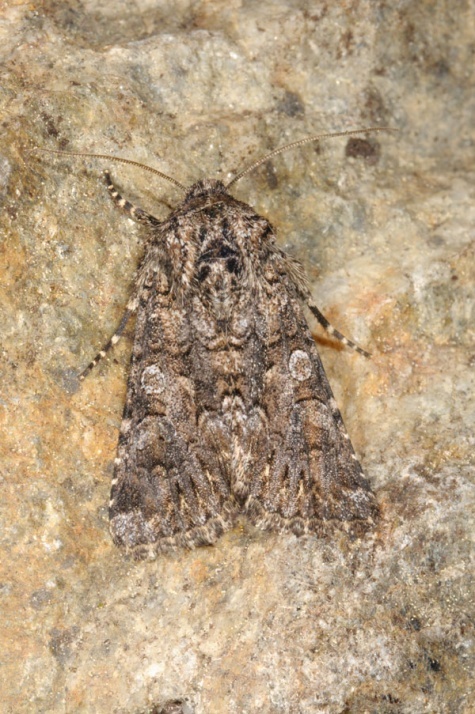 Hadena sancta is a very close relative of Hadena silenes. 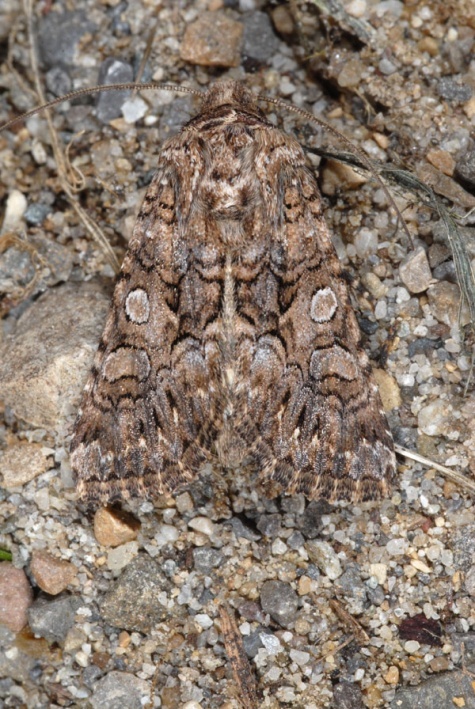 The subspecies Hadena sancta protai which is shown on this page is endemic to Sardinia and Corsica.